In 1790, our farm was established. Though the farm has changed hands a few times since then, the passion for farming, stories, and a simpler way of life have continued to be passed down generation to generation. We specialize in grass fed cattle and free range eggs. 'Faith, family, farming' is so much more than a cheesy saying at our farm...it is a way of life. Old Holler Farm was established in 1790 by the Beck family...at the time, George Washington was President, post offices didn't exist, and taxes were paid to your local church. William H. Beck, one of the original owners, still has a grave site on the farm with a headstone that reads ' 'Tis not all of life to live, nor all of death to die'. This was a famous quote from James Montgomery, a British hymn writer/poet back in the early 1800's. The Beck family spent 6 years constructing the original part of the cabin that's located on the farm, in 1796. The cabin was later expanded in 1835 and the year '1835' is still engraved on the exterior rock of the fireplace in the den of the cabin. 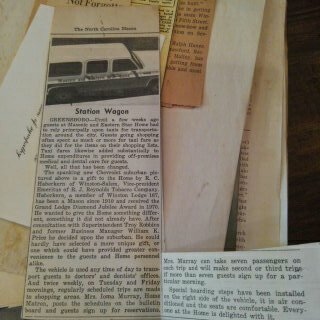 Fast forward a few years...a man named Roy Conrad Haberkern came to the area, then known as 'Winston' and 'Salem' (two cites), from Indiana looking for work. He landed a job at a Tobacco company called R.J. Reynolds in 1909 as personal secretary for Mr. Reynolds. The two of them became great friends and Mr. Reynolds trusted R.C. Haberkern. Haberkern had a passion for farming and while working at R.J. Reynolds, he purchased Old Holler Farm. In 1912 and 1913, R.J. Reynolds was coming out with Camel cigarettes. In 1913, R.C. Haberkern was assigned to design the logo. 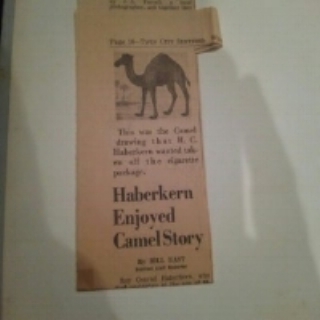 Haberkern went to the Barnum and Bailey circus and was able to snap a few photographs of a camel named 'Old Joe'. 'Joe Camel' was born. In the 1835 den of the cabin, you will notice 'Joe' in the hearth of the fireplace. R.C. Haberkern worked his way up to Vice President at R.J. Reynolds. In 2014, Justin and Jessica Strickland purchased 83 acres of Old Holler Farm. Then in 2017, they purchased the remaining 47 acres...feeling compelled to honor the history of the farm and make it whole again. Inspired by the history of the farm, Justin and Jessica Strickland, along with their 2 children, Tate and Beckett, are committed to preserving the land and continuing the legacy of Old Holler Farm.